Just lately, I feel like I have devouring any and all things related to gardening. Last year, we were a little late getting started with the garden so I am determined to get things going earlier this year. It started with the seed catalog from West Coast Seeds. This was my first foray into starting vegetables from seed, so I decided to order a wide variety and see what works. 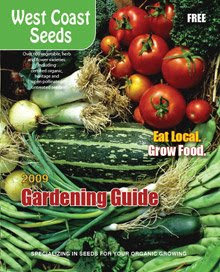 The seed catalogue not only describes the huge variety of seeds they have available to order, but also provides a wealth of useful growing information. On our last trip to the Otter Co-op, I picked up some seeds that would grow in our new greenhouse, like peppers and tomatoes, so those are started and the greenhouse is all set up! A couple of weeks ago, I attended a composting workshop put on by the newly formed Williams Lake Gardening Club, hosted by Rob Borsato from Mackin Creek Farm (a certified organic market farm, about 45 km. north of Williams Lake). It was a great workshop with lots of tips for growing in our northern climate, but mostly I was finally able to grasp how composting works and how to build a pile to produce great compost in as little as 4 weeks. Rob is very knowledgeable and passionate about organic growing. 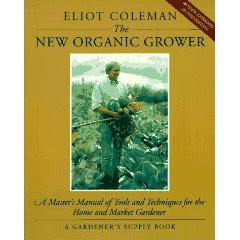 Last night, I attended a second workshop that he was doing, on organic vegetable growing. So much great information on drip lines, crop covers, starting seeds...I was truly inspired! which I will be adding to my library request list! I read one of his other books last year, about a four season harvest. I'll have to get that one out again too! And if you liked that one...here is a longer keynote he gave at a conference...enjoy!